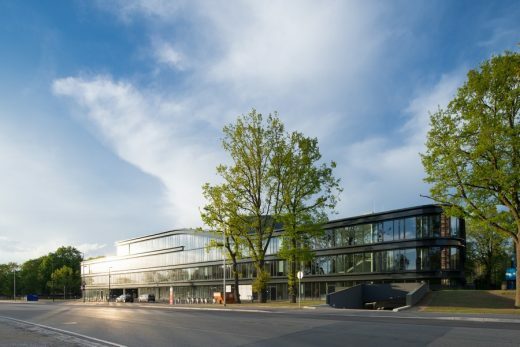 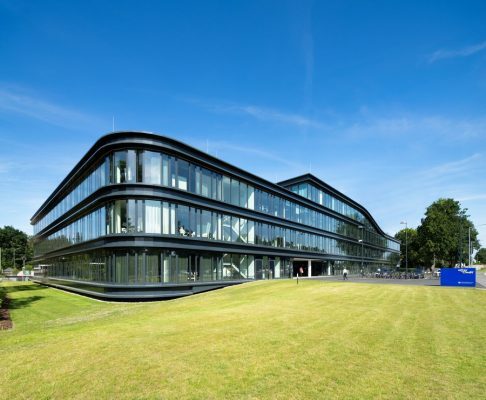 The Team Bank, leading German consumer credit expert, recently moved into their new HQ in Nuremberg with over 700 employees. 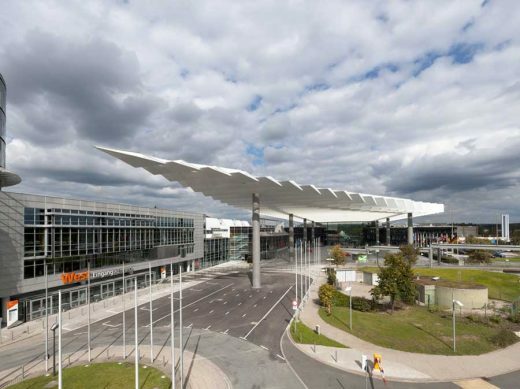 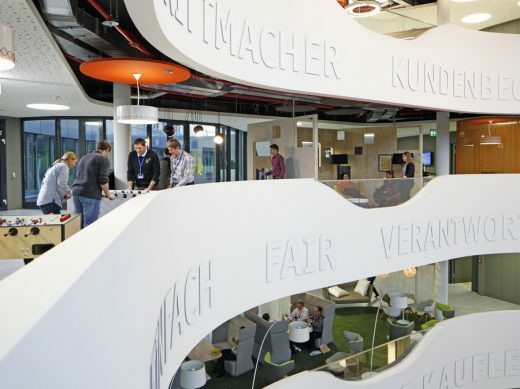 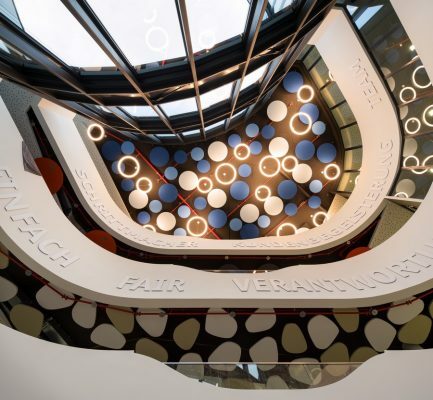 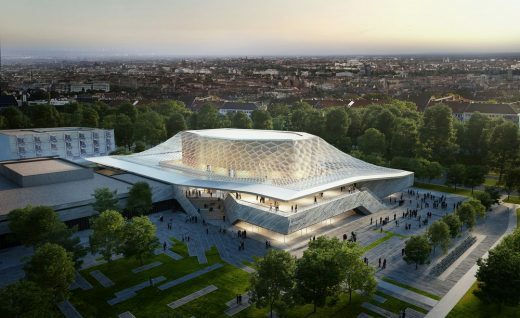 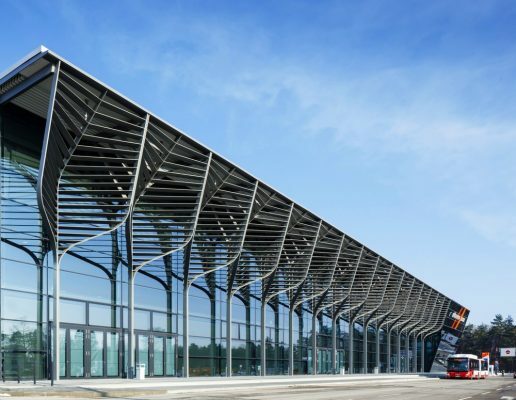 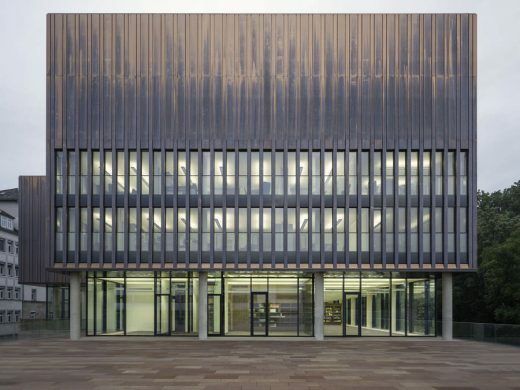 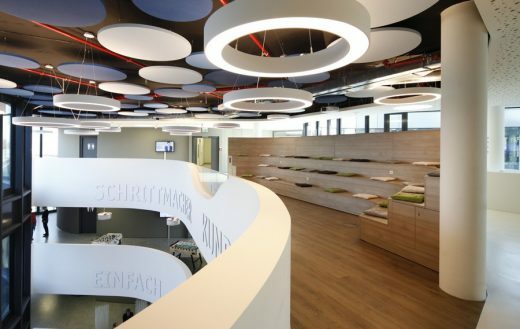 The interior fit-out of the building was designed by Swiss architecture and design studio Evolution Design, while the building itself was created by Austrian architecture firm Baumschlager Eberle and executed by Nuremberg architects GP Wirth Architekten. 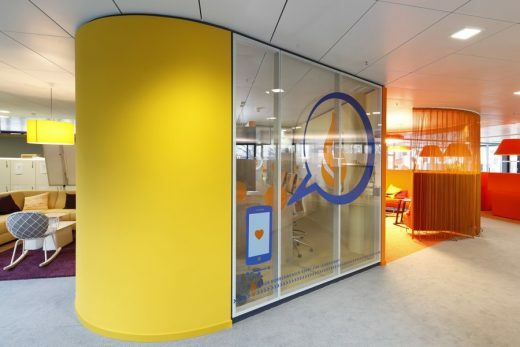 had easyCredit’s visions and values in mind: transparency, openness and communication incorporated in its internal space concept and modesty and simplicity displayed in its external appearance. 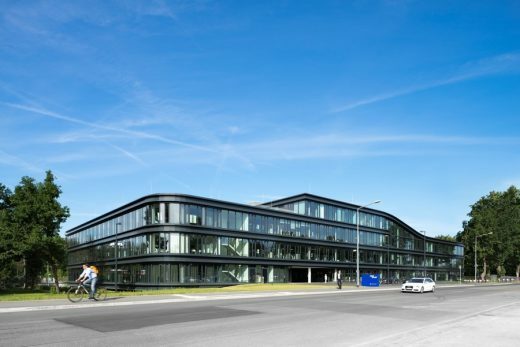 The resulting office building encompasses over 15’000 m2 (160’000 ft2) of large open-space work areas. 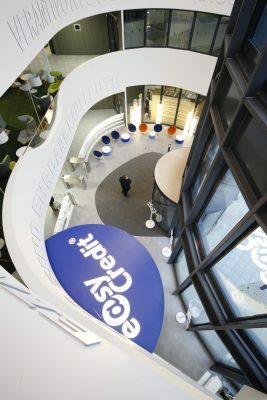 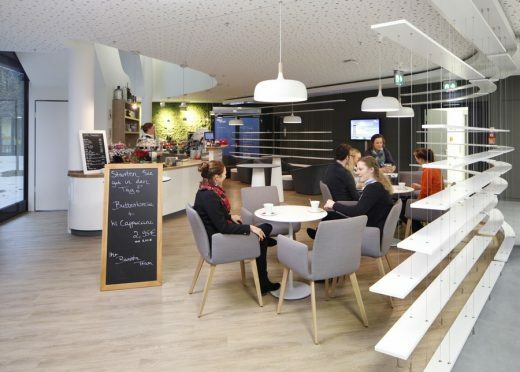 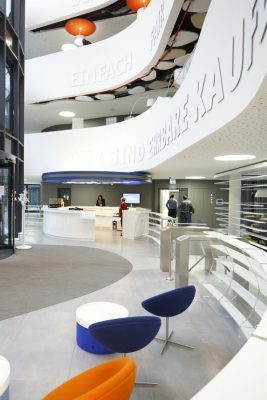 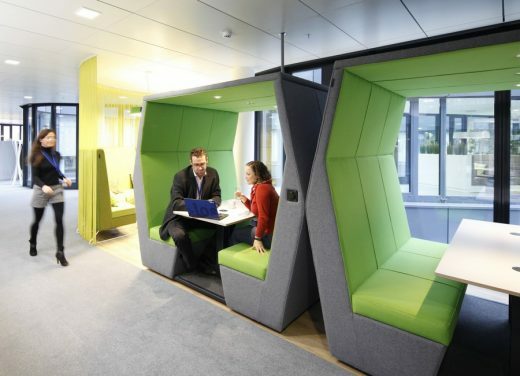 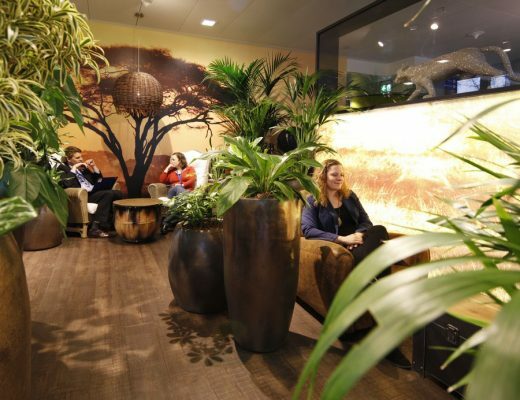 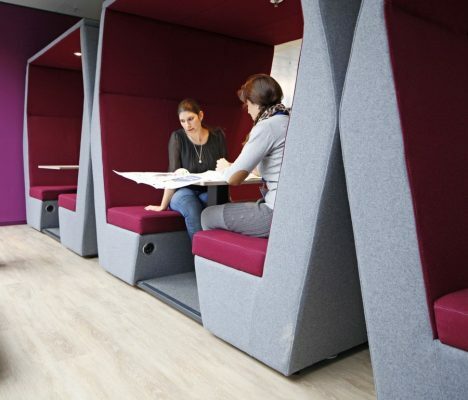 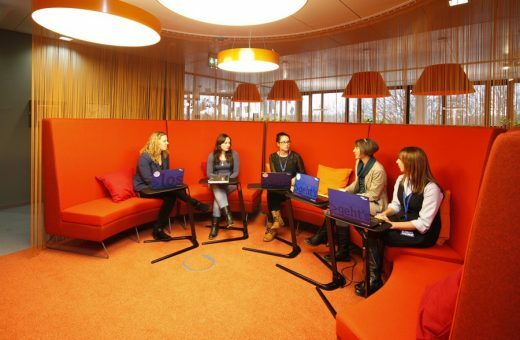 Evolution Design’s interior design concept continued to place great importance in expressing the key values and philosophy of easyCredit: applying an innovative‚ agile working’ concept approach to the work environment which clearly expresses easyCredit’s claim to be innovator and trendsetter in the banking sector of Germany. 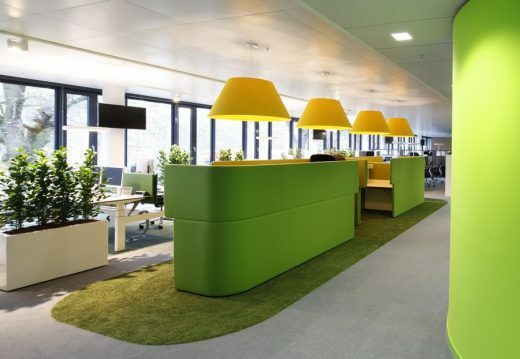 The biggest challenge was the change from a traditional workspace with dedicated desks to a completely new activity-based style of working. 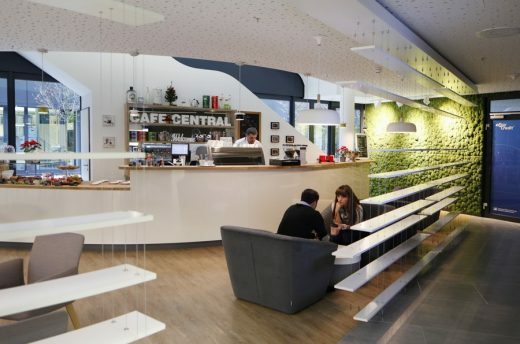 Thus, the building was divided into, Homezones’ and‚ Meet & Create Zones. 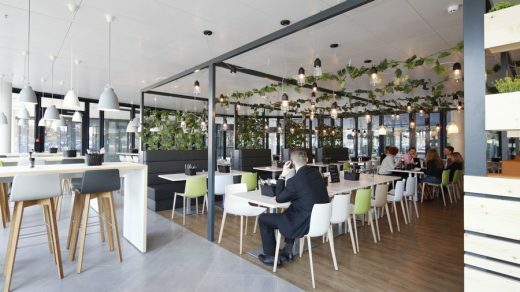 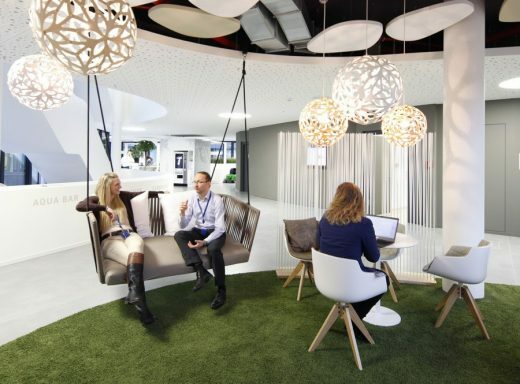 Each‚ Homebase’ consists of an unique mixture of different workplace typologies to cater for the different needs of the employees depending on their daily activities. 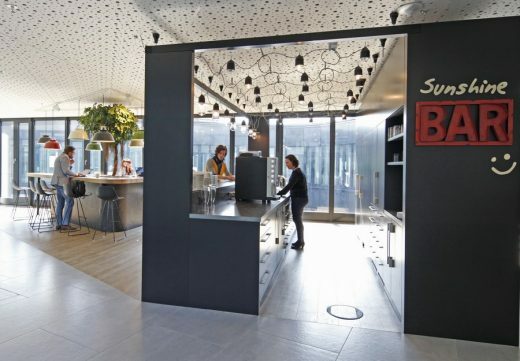 A share rate of 75% was introduced, based on extensive occupancy and work typology research. 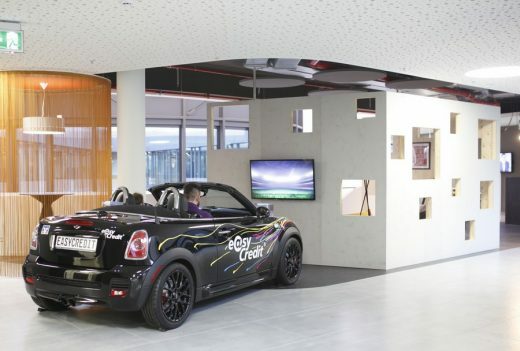 As a consequence, extra space was gained for the ‚Meet & Create Zone’. 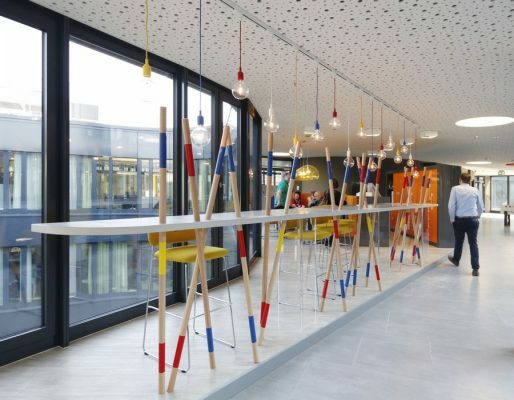 This area is the driver for creativity and innovation and consists of a large number of diverse informal areas and specially designed spaces for creativity and focus. 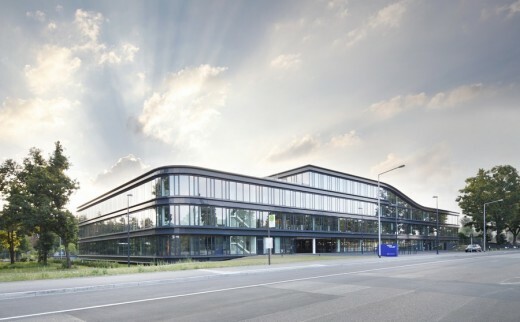 their new workplace and HQ, and in which they can share their values of fairness, teamwork, transparency and communication everyday.